Bangkok is filled with modern skyscrapers, street markets, and Thai culture. United Airlines® is filled with choices to get you to Bangkok. Put the two together and spend the day wandering through the local markets buying food, gifts, and clothing from local vendors. Get around the city with the Skytrain system, inexpensive songthaews, open-air truck taxis, motorcycle taxis, and tuk-tuks. Sample regional dishes that range from savory to spicy. Explore the rich environment, from traditional architecture to modern city buildings. Witness local festivals that feature dancing and incredible clothing. 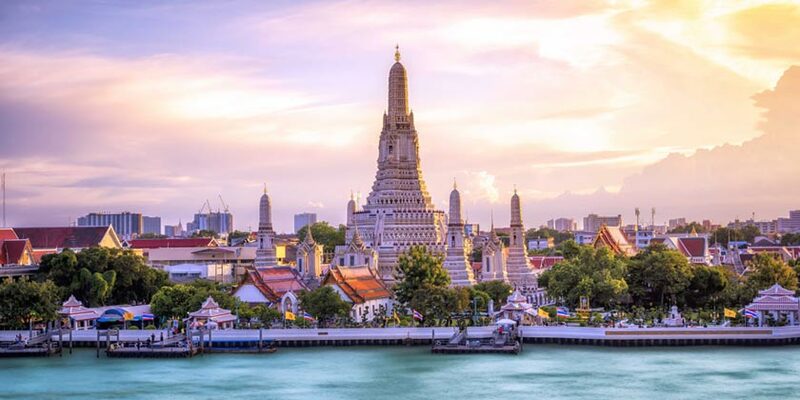 During your Bangkok vacation, you’ll find everything you’re looking for and more. The Grand Palace complex, once the official home for the Kings of Siam, is unquestionably one of the Thailand's major tourist highlights. Treat yourself with a 2.5 hour evening cruise along Bangkok's Chao Phraya river. Watch river life and feast on a Thai dinner. Bridge on the River Kwai and the beginning of the Death Railway is a poignant reminder of the thousands of POW's who lost their lives in World War 2. Floating markets are a popular option for so many tourists, The Rose Garden Cultural Center, see local Thai villagers creating traditional village crafts. Resort info: Situated adjacent to MBK Centre and opposite Siam Square the hotel is in the heart of Bangkok. Resort info: Just a few minutes from the city’s fast and efficient subway system and within reach of the city’s shopping, nightlife and historic attractions. Resort info: Located just off Sukhumvit Road, this hotel is within walking distances to the shopping, entertainment and nightlife areas. Resort info: Le Meridien Bangkok sits in the heart of Bangkok's tourist precinct and central business district.